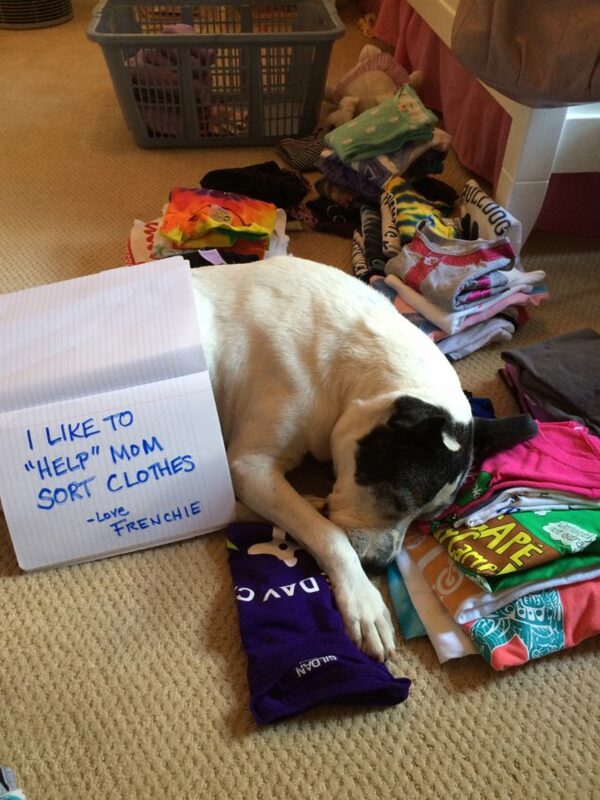 I like to “help” mom sort clothes. Frenchie, our pit mix senior rescue, has decided to help around the house between nap times. Posted January 10th, 2018 . Sweet doggie – and what a good helper!